It probably won't come as a surprise to you, that most of my Sunday's I spend at the Columbia Road Flower Market. Often I come to get flowers, but more so I come as I love the atmosphere here, the street musicians, the small independent shops, the flower sellers shouting across the street and afterwards you go for a cuppa tea with a friend and chat about the week and everything on your mind. It's the perfect spot on earth to be on a Sunday in my world! I hope you all had a lovely Sunday relaxing and restoring for the upcoming week! 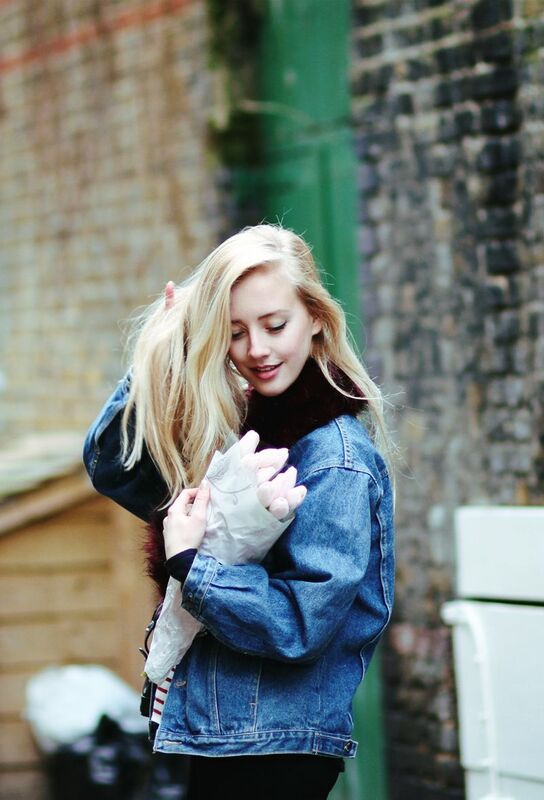 The fur-jean jacket contrast is something I wouldn't normally think about doing but you pull it off nicely! 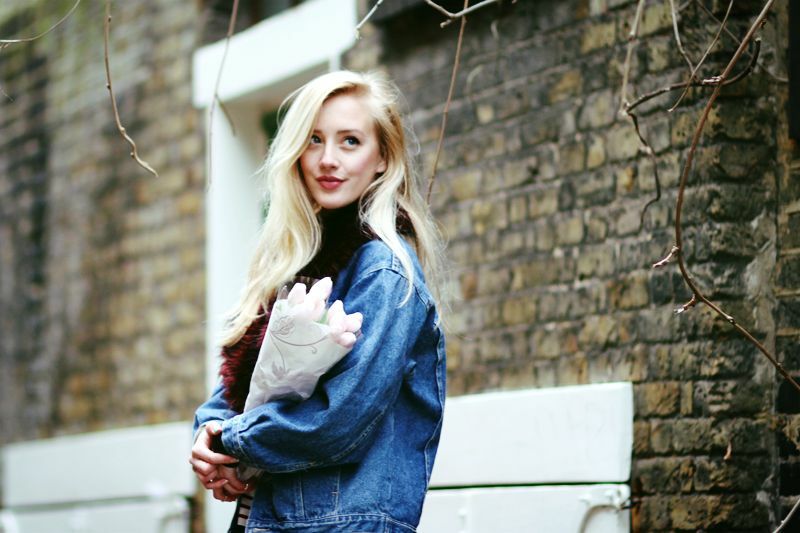 I absolutely love your fur/jean jacket! Really unique! 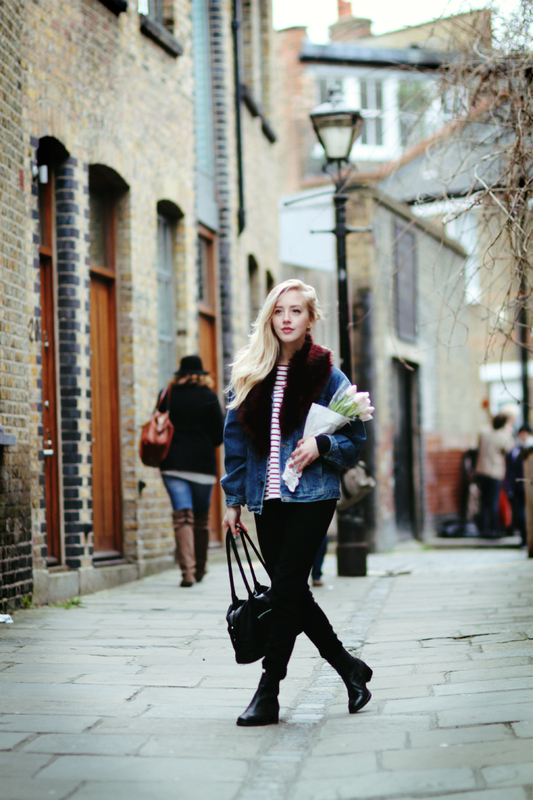 Love this Sunday outfit, I really want to visit Columbia Road Flower Market now! You look so lovely! Cutie! Ahhhhh what beaautiful photographs! That sounds like the perfect way to spend a Sunday! 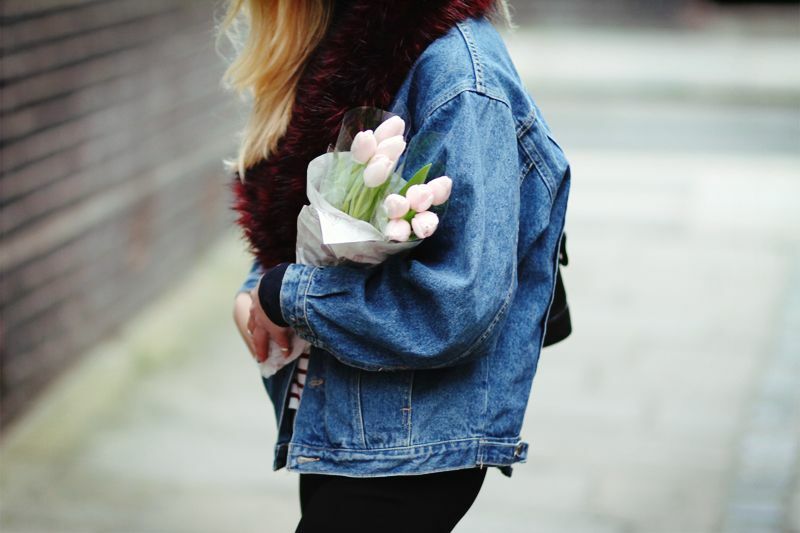 this is so cute denim and real flowers is perfection!